Windows 7 has completely released but still many of us are confused for best security utility for windows 7, as technology world is going ahead towards the peak and in this situation everyone wants to have the best , including security utilities.. there are many security utilities but I found some of them best for windows 7. As an antivirus software is must for protection.I picked the best antivirus software based on its virus detection abilities, features, protection. 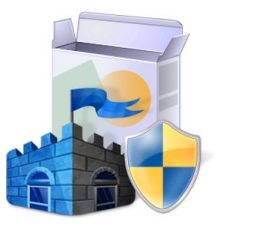 Each each of the following products provides great virus protection for Windows 7. BitDefender Antivirus 2010 offers the most trustable security and protection among all antivirus software out there and that is why it is rated # 1 antivirus by most of the sites. BitDefender Antivirus 2010 offers rock-solid security, simple usability, effective use of resources, and a valuable price tag, BitDefender Antivirus 2010 adds some additional features that continue to improve overall PC performance and protection and peace of mind, without upsetting your PC performance or paycheck. Symantec’s Norton AntiVirus 2010 and Norton 360 Version 3.0 are two security solutions. It is scheduled on Microsoft’s list of most compatible software solutions for Windows 7. Norton Internet Security 2010 and Norton AntiVirus 2010 have been specifically designed to support Windows 7. Those with Norton AntiVirus 2009 would receive automatic upgrade to Norton Antivirus 2010. This anti-virus isn’t freeware, its about 60 dollars, but there is a 30 day free trial after downloading the client. 1. Even after all the updates Kaspersky AntiVirus still lacks some valuable features compared to the other anti-viruses. 2. The new version has removed it best feature, the Safe Run program sandbox, where you can use the anti-virus even in Safe Mode. 3. On the other hand it has added a better anti-virus engine, which runs at blazing speed compared to the free edition anti-viruses. 4. A new feature allow customers to send their PC’s scans for analysis for better protection. However, this costs an extra $20. Would recommend using the trial and seeing whether you like it before committing to this anti-virus.But you can also activate it using KEYS. McAfee Total Protection provides full Suite of products for Windows 7. For those already using Windows 7 Beta with McAfee will receive an upgrade to MTP 3.11 for Security Center, Virus Scan and Personal Firewall. One of the oldest security software providers, McAfee combines the best of anti-virus, firewall, and intrusion prevention technology. AVG is one of the most widely used anti-virus solution that works perfectly under Windows 7. AVG offers comprehensive protection against malicious threats. AVG is a light-weight but effective antivirus offers protection against viruses, worms and trojans, spyware, adware and identity-theft. Avira is one of the most powerful freeware antivirus solution compatible for Windows 7. It’s carries out quick and effective scans, and doesn’t consume much system resources. Avira offers real time protection with AntiVir Guard. The personal version is completely free from private use. The personal version works without any issues. It also offers the ability to pause, stop, and resume a scan from this panel. Avast is a longtime favorite of free antivirus users. It doesn’t hog your processor or memory, scan times are fairly speedy, and it includes a DOS-based boot time scan — something you don’t find in a lot of free products — or paid ones for that matter. Avast runs on both 32 and 64-bit Windows 7. If you’re comfortable running software that is still in development, the Avast 5 beta is looking good. That said, it’s antivirus software – is using an unfinished antivirus something you really want to do? That’s your call, of course. It’s a free download from Microsoft that is simple to install, easy to use, and always kept up to date so you can be assured your PC is protected by the latest technology. It’s easy to tell if your PC is secure — when you’re green, you’re good. It’s that simple. Runs quietly and efficiently in the background so that you are free to use your Windows-based PC the way you want—without interruptions or long computer wait times. Comodo’s firewall software has been popular for ages and they recently released an antivirus program to expand their security offerings. I tested the suite, and it performs well. You’re not locked in to the whole package either. You can install the antivirus or firewall on their own if you want. As you can tell from the download links, Comodo offers different downloads for 32 and 64-bit systems. Make sure you grab the right one! Cloud Antivirus by Panda Security is one of the fastest adoptive antivirus and complete security solution among web users. Cloud AV is not ready for general use (like Avast 5), but it too has gotten good reviews so far. The one knock on Panda’s offering is its slow manual scans. Then again, you probably won’t need to run those all that often, so it might not be an issue.